In observance of Martin Luther King, Jr. Day, January 16, the "Lifting Your Voices" media campaign celebrates and honors the life and legacy of Dr. Martin Luther King, Jr. Victoria Gross, Strategist of the Black Portfolio at NIH and the Black Engagement Committee, launched this campaign to excite reflection around the question, "How does Dr. King’s legacy affect you today?" What better way to celebrate MLK Day and the Civil Rights Movement than to share reflective thoughts, memories, hopes, and inspirations! “Lifting Your Voices” is also accompanied by a poster exhibition located in lobby of the Lister Hill Center, Building 38A, beginning Friday, January 13 and will be available throughout the month of February. 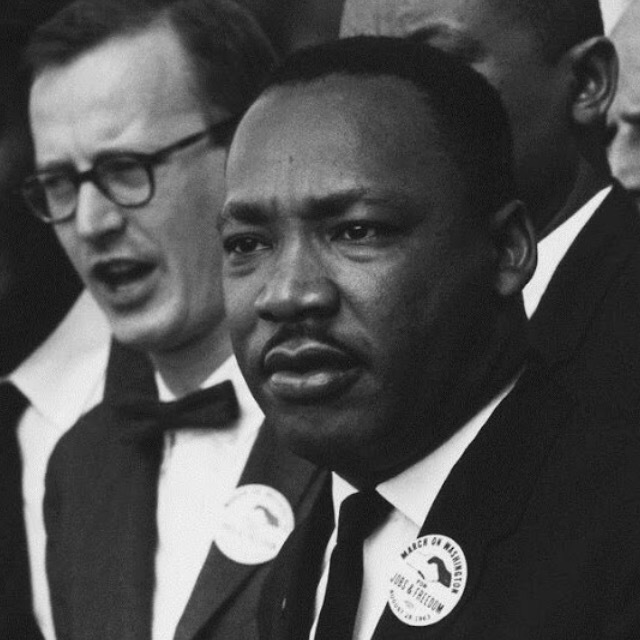 Be sure to check out the campaign on our Instagram and Twitter and feel free to share using the hashtags #MLKToday and #EDI365, answering the question, "How does Dr. King’s legacy affect you today?"